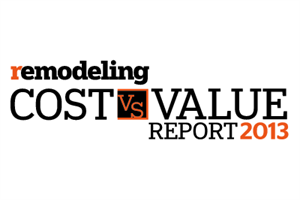 Remodeling Magazine publishes a cost versus value report every year on many major home improvements. You can get specifics on replacement window cost versus value for the southeastern United States. They generally talk about the cost of a project and the resale value averages. In other words, you pay “X” for replacement windows and you can expect to get “Y” percent back when you sell the home. Consumer Reports has information on replacement windows too. They look at the replacement windows cost versus value by talking about the return you will get over time from energy savings if you choose energy efficient windows. They use a “cup is half empty” style when they explain it. They say, “…replacement windows might save you 10 percent to 25 percent a year for heating and cooling. But new windows cost from $7,000 to $20,000 for the average house, and custom sizes can add another 15 percent. So it might take 20 years or more before you break even.” Another way to say that is if you take what you spend to replace your windows, you could recoup half of the total investment in 10 years and could recoup your entire investment in 20 by your energy savings alone! Consumer Reports is looking at a national average. Since most windows that are replaced here in the Tampa Bay area were originally builder’s grade single pane aluminum, the energy savings when installing a premium vinyl framed replacement window with double pane glass where the air space between the glass is filled with argon gas and the glass itself has low-e coatings to reflect heat, the energy savings can be far more dramatic. Our local power companies, Duke and Teco, offer rebates when your replacement windows meet certain energy star measurements too. These small rebates along with whatever you might get as an energy credit on your tax return help when you are calculating replacement windows cost versus value too. These extra potential hundreds of dollars savings need to be factored in. Replacement Windows Cost vs. Value- They Can Pay For Themselves! Here’s the bottom line when looking at replacement windows cost versus value. If you ever sell your home, or you want to borrow against the equity you have in your home, you’ll likely pick up about 70 percent of what you spend on your replacement windows. You’ll get back around 50 percent of what you invest in replacement windows in around 10 years from energy savings, even sooner if energy costs continue to rise. And you will get a few hundred more from your power company and the IRS. That adds up to over 120 percent of what the windows cost you! That’s exactly why I tell people that if they select great, problem free, high performance windows, they will more than pay for themselves! The intangibles when you consider replacement windows cost versus value and you select a premium quality window are improved appearance, sound transmission reduction, ease of operation, ease of cleaning, more uniform temperatures throughout the home, increased security, improved ventilation, virtually eliminating UV damage from sunlight entering through your glass, and since you are not dealing with UV light you will have a softer more pleasant light every day. That’s my take on replacement windows cost versus value.